Tired of buying the Beatles White album over and over in the latest format? Wondering how to archive your music collection? Wonder no more. Hitachi presents a new method of storing digital information on tiny pieces of quartz glass that can endure extreme temperatures and hostile conditions without degrading for hundreds of millions of years. Hitachi's new technology stores data in binary form by creating dots inside a thin sheet of quartz glass, which can be read with an ordinary optical microscope. Provided a computer with the know-how to understand that binary is available -- simple enough to programme, no matter how advanced computers become -- the data will always be readable, Torii said. The prototype storage device is two centimetres square and just two millimetres thick and made from quartz glass, a highly stable and resilient material, used to make beakers and other instruments for laboratory use. The chip, which is resistant to many chemicals and unaffected by radio waves, can be exposed directly to high temperature flames and heated to 1,000 degrees Celsius for at least two hours without being damaged. 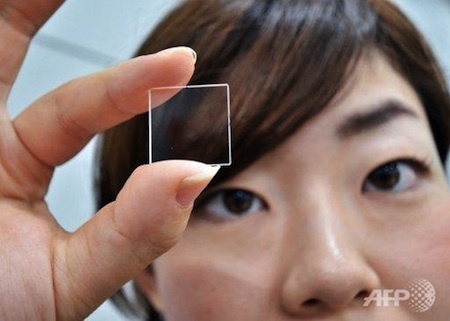 "We believe data will survive unless this hard glass is broken," said senior researcher Takao Watanabe. The material currently has four layers of dots, which can hold 40 megabytes per square inch, approximately the density on a music CD, researchers said, adding they believe adding more layers should not be a problem. 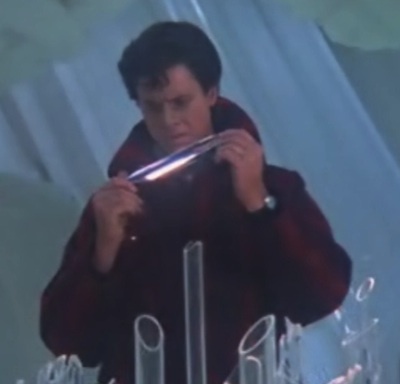 Fans of the 1978 film Superman recall the memory crystals used in Superman's Fortress of Solitude. In Stanislaw Lem's 1961 novel Return From the Stars, he describes memory crystals that are used to store books instead of paper.